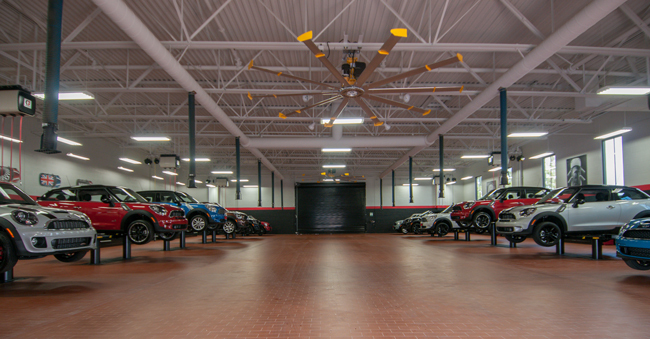 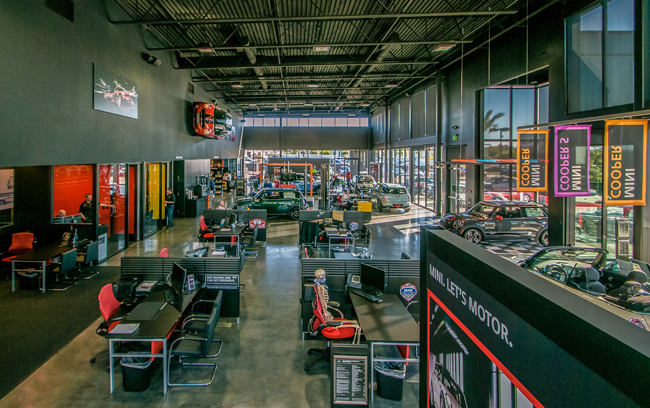 Brand new showroom, service facility, parts warehouse, parking lot and shade canopy. 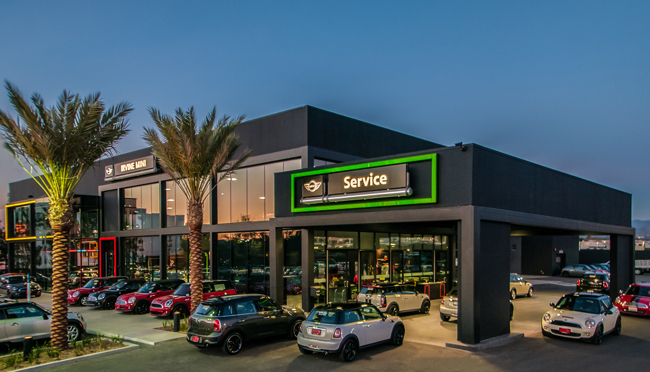 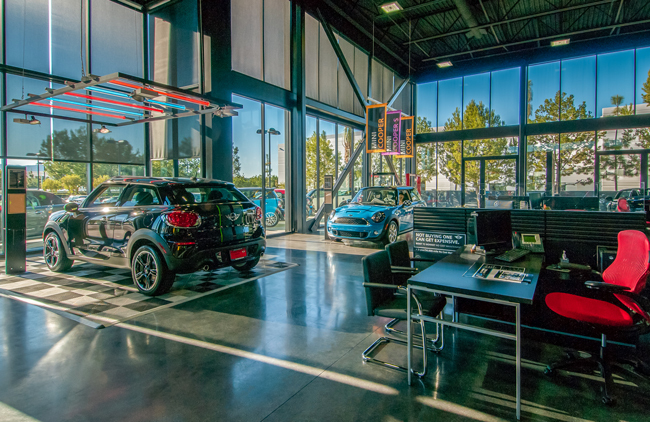 The space includes over 82 parking and service spaces with ample space to showcase these compact vehicles. 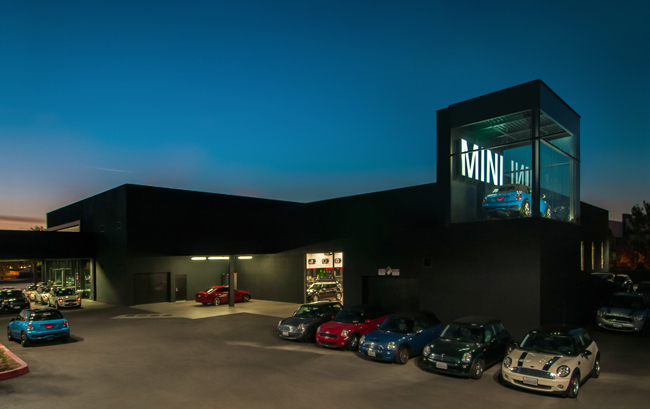 The design is sleek and modern, yet classic reflecting the design of the Mini vehicle.